Due to medical reasons, I'll be MIA from this blog and other social media for at least a couple of weeks, probably longer. During my silence, I invite you to take time to visit the multitude of posts on this site. If you haven't been here before, and even if you have, there's a wealth of information, photos and valuable resources for you to access and enjoy. I hope you find them helpful and entertaining. Although frequently asked, I rarely do book reviews, in part, because I have so little time to read, and it's not usually what I do professionally. 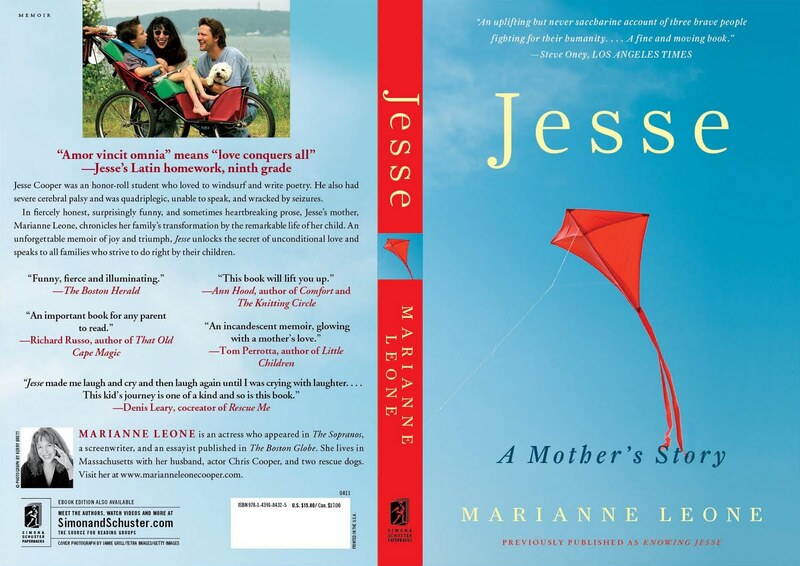 But I'm making an exception for Jesse: A Mother's Story by actress/author Marianne Leone. The author appeared on the popular HBO series The Sopranos, and is married to award-winning actor, Chris Cooper. A trade-paperback edition of Leone's book (previously entitled Knowing Jesse by Simon & Schuster) is being released tomorrow, April 5th. Jesse: A Mother's Story is a raw, emotionally charged book about a mother's deep love and bold determination to give her son every opportunity to live a full life, a dream realized until Jesse's untimely and unexpected death in 2005 at age 17. Just days after his birth, Jesse suffered a cerebral hemorrhage, which resulted in a diagnosis of cerebral palsy, life-long seizures and wheelchair use. Without warning, the course of Leone's life changed dramatically. Leone and I connected a few months ago through a mutual author friend on Facebook. We ended up exchanging more than just books and e-mails. We discovered that we shared eerily similar life experiences, including unexpected special needs parenting demands that we'd both met with pit-bull advocacy, while also coming to terms with the harsh reality of cerebral palsy and wheelchair use of our only sons. We each described our kids as bright, talented, handsome, gutsy and charismatic children with great hair that we loved running our fingers through. We remembered the boys' infectious laughter and love of travel. Ultimately, we shared the toughest loss of all, the unexpected deaths of of our sons, Eric and Jesse, in their own beds on our parenting watch. We each discovered our babies too late and made frantic 911 calls. Shattered, we both still grieve deeply. I remember feeling dazed, yet strangely comforted, when I first learned of our amazing similarities. We'd never met, but we instantly connected through stories of our beloved children. I was stunned that someone else could possibly share my painful story in such rich detail. We understood each other before either first uttered a word. I was not alone, and neither was she. Many readers have connected with Leone's story, but few could possibly do so in the way that I have. More than once, her words brought stinging tears to my eyes and cut off my breathing. When Leone writes about doing battle with professionals who exhibit unbelievable ignorance, insensitivity and arrogance in educational meetings, my stomach again churned hard with still unresolved and long-suppressed anger at so many unjust and intolerable moments in my own son's life. While I'm further down the grief road than she, Leone was blessed to have her son in her life longer. Advantage, neither. Leone's book is a memoir and she wants bookstores to place it on their shelves as such, and with good reason. She forgoes the self-help advice and tips offered by many special needs books, including my own, and focuses instead on one woman's emotionally charged journey of unconditional love and unimaginable loss. She models the unwavering spirit required to come out from under the covers after paralyzing loss and go on living. No small feat. Do yourself a favor, and give a copy of Jesse: A Mother's Story to everyone you know. Leone's powerful, honest words will change you, or they should. I'm richer for having read her story and I'd already experienced most of its painful and healing lessons firsthand. Leone quickly and skillfully drew me in, while reminding me just how much of my own grief work still remains. Leone is a talented writer and one exceptional mother. One note: Because I'm so close to the subject matter, circumstance and words in Leone's book, I've decided to share with you another good and possibly more objective review from the April 4th Huffington Post. Worth the read and author kudos, too. I'm also offering you a special treat, a Q/A with the book's mommy-lion author, Marianne Leone, my new friend and a mutual survivor. Marianne Leone is an actress, screenwriter and essayist who had a recurring role on HBO's "The Sopranos" as Joanne Moltisanti, Christopher's (Michael Imperioli's) mother. She has also appeared in films by John Sayles, Nancy Savoca and Martin Scorsese. 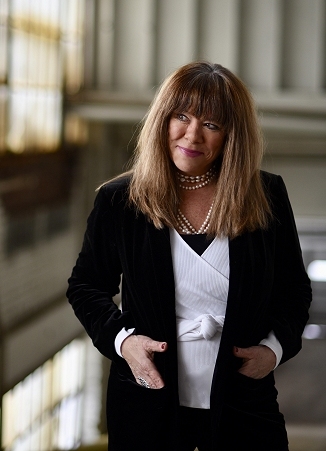 Her essays and op-ed pieces on a variety of topics have appeared in the Boston Globe. Leone is married to academy-award winning actor, Chris Cooper. Leone was Jesse Cooper's mother for seventeen years. After his death in 2005, her essay on grief entitled 'He Was Our Touchstone,' was published in the Boston Globe. Her memoir grew out of that essay. Marianne Leone lives on a tidal river in the South Shore of Massachusetts with her husband and two rescue dogs, Lucky and Frenchy. CHATTING WITH MARIANNE LEONE, AUTHOR OF JESSE: A MOTHER'S STORY By Judy Winter of JudyWinter.com on April 4th, 2011. All rights reserved. Q: When did Jesse die and how old was he? Jesse was seventeen when he died, suddenly of SUDEP, Sudden Unexplained Death from Epilepsy in 2005. We found him in his bed the morning after what had been a totally typical day. Q: Why did you write Jesse: A Mother's Story and how long did it take? I wrote the book to celebrate Jesse's life and somehow process the grief that accompanied his death. The book grew from an essay published in the Boston Globe three months after Jesse died. It took about a year and a half to write the book which comes out in paperback on April 5th. Q: What do you hope people take away from Jesse's story? I hope people will see the person, not the disability when they encounter differently abled people. I hope educators will presume competence. I hope parents will know that they are their child's strongest advocates. I hope people will read Jesse's poems and see the luminous soul within. Q: Jesse's story is very powerful and raw. Did you find it healing to write this book, and has it eased your grief? I found healing by spending so many hours close to Jesse by reliving his life while writing this book. But I also relived pain and anger when writing about our struggles to include Jesse in school. Grief is like a sniper that takes you out when you least expect it. After six years, the pain is no longer physical, a fact that surprised me. But when you lose a child, grief is a life-long companion. Q: Describe Jesse for me. 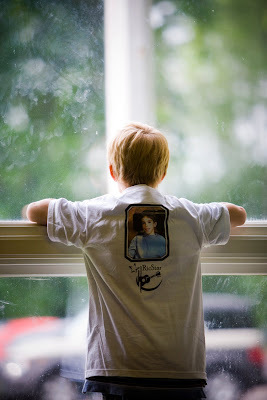 What do you remember most about your son? Jesse was physically beautiful, but his light came from within. He had huge, saintlike brown eyes, a strong straight nose and a curvy lipped, lush mouth. He had fine, straight-brown hair with crazy, adorable cowlicks. His skin was olive, with a golden undertone. He had a wry sense of humor and was always the first one to get the joke at the dinner table. Jesse was extremely social and adored parties and travel. He had eclectic music tastes and of course, loved movies. He participated in adapted windsurfing and adored speed in any form, which included the wild rides at Universal Studios in L.A. He had a low voice, and when I remember him, I think of his deep chuckle and caressing his beautiful skin and running my hands through his hair, which Jesse loved. Q: What do you miss most about Jesse? I miss his physical presence with a visceral longing. I miss his curious mind and sense of humor. I miss taking care of him and fighting for him and how he made me grow spiritually through unconditional love. I miss my teacher. Q: What did Jesse teach you? Jesse taught me to look within, to see spirit. It was the greatest gift I have ever received. Q: How are you different today because you were Jesse's mom? Jesse taught me to be unafraid, which was extremely liberating. I believe that I was always socially conscious, but now I am more so. I also learned about priorities through Jesse, for which I am very grateful. Q: Did your training as an actress help you in any way as you juggled the various demands required by parenting Jesse? All actors are students of psychology and in that way, I guess my training helped. Although I was never able to assume a character that would help me get through the battles to get Jess his basic civil rights. Unless you could call being a feral warrior beast a character, which is what I became! Q: How did having a child with special needs impact your professional career? My acting career was basically put on hold after the first few years of Jesse's life. There was no way I could be on the road and be Jesse's mother. My husband was away a lot performing in films and we couldn't both be away. Chris was getting more parts, making more money, and it was a practical decision. In addition to acting, I had always written, and I just concentrated more on writing when Jess was young. I could do that at home and I only needed to fly to L.A. on rare occasions. While not produced, I have sold several screenplays. When Jess was 11 or 12 , I got an offer to audition for The Sopranos. We had a really great caregiver then and I couldn't pass up that opportunity. I do not regret putting my acting career on hold at all. Q: How did Jesse's special needs and his death impact your marriage? I've been married for 28 years to a man who embodies kindness, generosity and love. Chris loved Jesse as fiercely as I did. His tempermant is the polar opposite of mine. I'm hyper, have a big mouth and I hate authority. Chris is quiet, focused and respectful. So I knew we would grieve differently and that on those days when I could see a glimmer of comfort, he might be in the depths. Q: Losing a child is every parent's worst nightmare. How have you survived? What words can you share with other parents facing such loss? I have only just barely survived! About a year after Jesse died, I grew a huge cancerous tumor the size of Jesse at his birth, which I thought of as grief made tangible. I am okay today, health-wise. I work hard at joy now, because when it comes, there is always the shadow of loss. But joy does return, as does laughter and appreciation of life's physical consolations: seeing the first crocus, tasting a wonderful meal, physical pleasure. 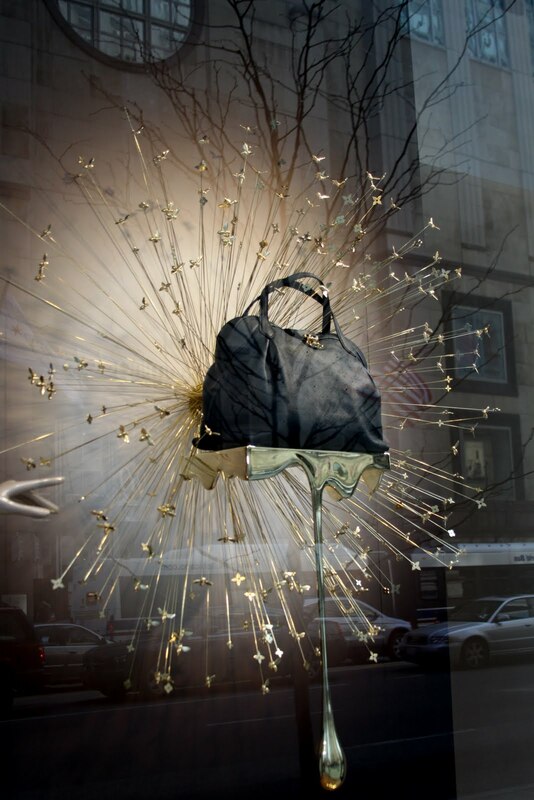 But this appreciation of worldly pleasure is a tightrope upon which you are always balancing. I try to honor Jesse's spirit by remembering his pleasures, and not succumbing to despair, because Jesse never did. Q: How are you doing with your loss today, and how do you continue to honor Jesse's life, and your own? We try to honor Jesse's life with charities in his honor. That includes the Jesse Advocacy Fund at the Federation for Children with Special Needs in Massachusetts, which provides low income/English as a second language families with advocates to fight for educational inclusion. We also give a small scholarship every year at Jesse's former high school called the Jesse Cooper Give Back to Society Scholarship, we support AccesSportAmerica, the organization which provided adapted windsurfing, and we help Romanian orphans with disabilities. As for how I'm doing with the loss today--that's a good question because it is day by day. Some days there's a stone on my heart and the longing imbues every act of the day. Other days I can celebrate the sun and swimming and my own creative endeavors with Jess as a companion in spirit. But his presence is always, always there. Q: What's the best advice you can offer other parents struggling with the demands of children with special needs? How can they help their children achieve their full potential, too? Initially, I found the parent-to-parent organizations in the states of New Jersey (SPAN) and Massachusetts, where I live, to be great resources for information and parent empowerment. To be in a community of other parents is wonderful, and today, the internet affords those opportunities, too. It's a valuable resource I didn't have in Jesse's early years. I also think it's important to design curriculum to fit your child. Every child is different. For instance, we didn't want Jess in school for the full five-hour day. He went for two and a half hours a day and then had three hours one-on-one with a tutor. This allowed him to get out of his wheelchair and stretch tight limbs, have a snack, etc. Those hours at school were important for his social life. When Jess was two, I got him a tee shirt that said "Question Authority", which I find important. For example, if we hadn't questioned the neurologist when he told us that Jess would "never be intellectually normal," when he was only four, my son would have become the self-fulfilling prophecy of that neurologist. Q: Any new projects to report? I have two new projects: I'm adapting a book I optioned about WWII female war correspondents into a project that my agent hopes to sell as a miniseries. I'm also writing fiction, (a first), a comedic coming-of-age novel about a little girl who wants to be a saint. I went to Catholic school for twelve years and I love writing comedy. Q: Anything else you would like to add about Jesse and your book? I hope Jesse's story helps other families in the same struggle, although I know that every family is different. Learn more about 'Jesse: A Mother's Story' and its author, Marianne Leone Cooper, at her website and on the author pages at Simon & Schuster and Amazon. Special Note: A Foundation has been set up in Jesse's name, which supports inclusion and adapted sports for those with disabilities through the Federation for Children with Special Needs and AccesSportAmerica. The foundation also supports orphans with special needs in Rumania through the Rumanian Children's Relief Fund. Photos and book cover courtesy of Marianne Leone. Used with permission. In honor of April is Autism Awareness Month, I find this post well worth sharing with you. Holly Robinson Peete, along with her fellow hosts on the CBS program 'The Talk,' did a terrific job covering the complex subject of autism today, while also providing much-needed hope to other families reeling from this diagnosis. The video from today's program, which includes an emotional interview with Holly and her husband, Rodney Peete, about their son R. J. 's autism diagnosis, is not yet up, but it's well worth viewing, so check back. (Holly Robinson Peete has become a skilled and effective spokesperson for these families). -A link to the Light It Up Blue Campaign. Many well-known buildings will be lighting up blue globally this Saturday, April 2nd, to help increase awareness of the challenging and growing diagnosis for which there is no known cure, while also honoring World Autism Awareness Day. According to the Centers for Disease Control (CDC) the current numbers for children diagnosed with autism are: 1 in 110 and 1 in 70 boys. According to an Autism Speaks spokesperson, the CDC will release updated figures later this year. Unfortunately, the numbers are expected to have increased. -A link to Autism Speaks and it's 100-Day Kit, which provides valuable information about autism and Asperger's syndrome to newly diagnosed families to maximize the first 100 days after diagnosis, and other coveted tips and resources. The kit can be downloaded at the link above for free. -A link to the HollyRod Foundation, founded by Holly Robinson Peete and her husband. The Foundation provides support for families dealing with autism and Parkinson's Disease. The Talk will continue to cover Autism throughout the month of April. Great job by Holly Robinson Peete and everyone involved with today's show. What a responsible use of celebrity and media for the good of others. Photo of RicStar's Camp participant by Erik Taylor Photography 2011. Camp registration is now on-going.